In early November 2016, Adobe released updates to its Creative Cloud suite of programs. A few weeks before, Adobe updated Acrobat DC with new features, too. 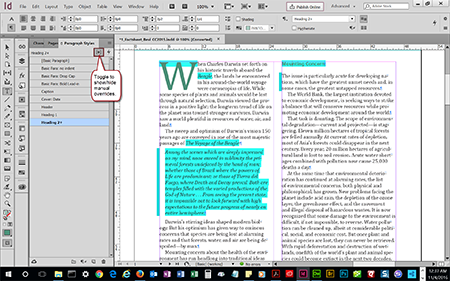 We review the new features that will help you make accessible InDesign and PDF files. I bet this was the most-often requested feature on Adobe's Acrobat forums, at least from those who must make PDFs accessible. We can undo tag edits. 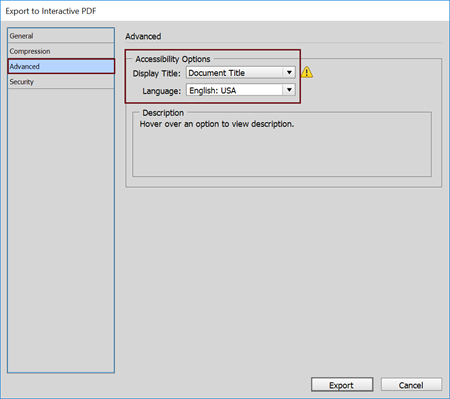 Undo is available only in the regular portion of Acrobat and the Tags Panel when working with accessible PDFs. It doesn't work with the Order or Content panels. 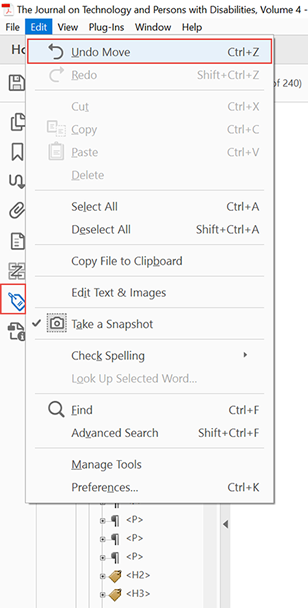 Look for more accessibility improvements in Acrobat in the future. InDesign CC:2017.0 brings some helpful new utilities. Manual formatting also embeds unnecessary <SPAN> tags in accessible PDFs and hardwires the formatting into the file, which in turn, prevents the file from transitioning to other media as seamlessly as possible. Bottom line: manual formatting clunks up your file. Avoid it. We now have a tool in InDesign that shows where manual overrides (aka, manual formatting) are in the layout file. This helps you spot them quickly and find a better way to get the visual design you want, such as using paragraph and character styles. Toggle the + icon in the upper right corner of the paragraph and character styles panels to show/hide where manual formatting (overrides) appears in the InDesign layout. This cool setting in Paragraph Styles lets us apply a background tint to a paragraph of inline text. This doesn't require a separate text frame to hold the paragraph; it's just another paragraph of text with a background in color. This tool helps avoid the problem we have at this time where anchored text frames don't convert into the correct semantic tags for accessibility. 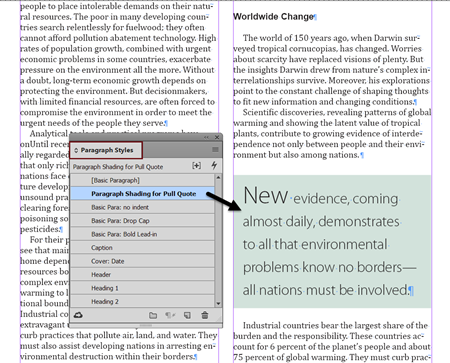 Quick tool to format pull quotes, highlight text, headings in a "bar" or banner. Use a combination of settings in the Paragraph Shading section, as well as the Indents and Spacing to build the look you want for the shaded paragraph. Using the Preview helps you quickly create the design you want. 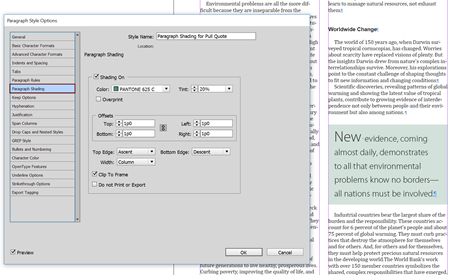 Released earlier this year, we now can set some PDF settings in InDesign's dialogue box for exporting to PDF. This speeds up our work by presetting some of the PDF File Properties for Title. Choose either Interactive PDF or Print PDF and these options will be available. Of course, they do depend on a layout file that has been correctly structured and formatted with styles to produce the correct tags and reading order. And don't forget to set the File Info in InDesign so that the export settings can pick up the title. 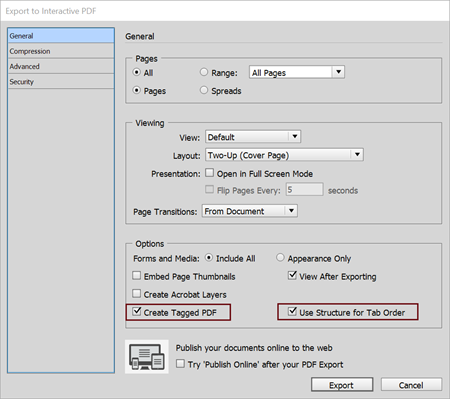 New export options for both interactive PDF and print PDF.